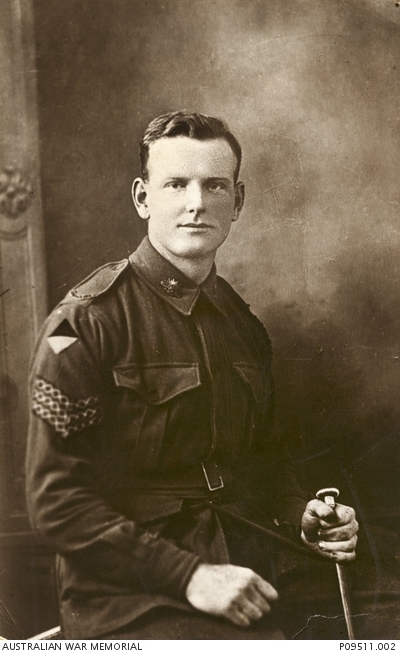 Studio portrait of 6762 Sergeant (Sgt) James Archibald Lee, 25th Battalion of Annandale, NSW (originally United Kingdom). He embarked from Sydney with the 20th Reinforcements aboard HMAT Horoata (A20) on 14 June 1917. Sgt Lee was killed in action in France on 3 October 1918, aged 23. It is wonderful to see my great uncle remembered on your website – a good resource for WWI and other information! I want to query the reference in the text to “(originally United Kingdom)”. I am not sure what this is referring to, but James was born in Annandale 19th Apr 1895.